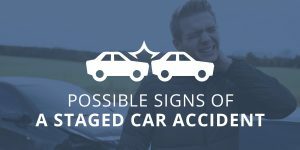 If you have been injured in an auto accident caused by another driver, you can expect to hear from a representative of their insurance company. They are not in any way driven by your best interests. Their goal is to pay out as little as possible or not to pay at all. When you have been injured in an auto accident, you can count on hearing from an insurance adjuster from the other party’s insurance almost immediately. Although he seems friendly, he is trying to catch you off-guard before you have had a chance to hire a lawyer or even determine the full extent of your injuries. The insurance company may try to say that you were at least partially at fault or that you couldn’t possibly have been badly hurt, because they feel it was a minor accident. The insurance company may try to get you to accept a small amount of money as a full settlement very soon after the accident, before you can clearly tell the full extent of your injuries or find out what you are actually entitled to. It’s best to speak to an attorney to determine what the full value of your claim may be before making any agreements with the insurance company. If an adjuster attempts this, they will do so soon after the accident in an effort to get you to say something that can later be used against you. Advise them that you will not talk to them without the advice of a personal injury attorney. You may think insurance wants your medical records so that they can pay the bills, but they will look for any kind of prior injury or pain that proves your injury was not actually caused by the accident. Don’t sign a medical release for the other insurance company until you have spoken to a personal injury lawyer. 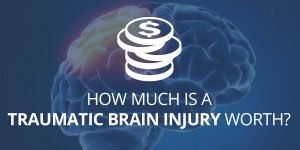 Insurance companies may try to minimize the extent of your injuries or try to get you to stop treatment by telling you that your medical bills won’t be covered. An adjuster may try to tell you that you are not entitled to lost wages or that a certain amount is the most you can get, which may be less than you are entitled to. Insurance companies know you may be facing financial difficulty from medical bills, lost wages, and car repairs after an accident. Often, they’ll use this to their advantage and delay processing a claim in the hopes you’ll give up and settle for less to receive money sooner rather than later. Remember, the goal of an adjuster is to avoid paying for your claim so they would rather not have an attorney involved who will protect your rights and hold them accountable. Insurance companies may set up surveillance to try to catch you appearing to not be injured, or they may spy on you on social media. It’s very important that you refrain from posting anything on social media detailing your accident. You may also want to remove any posts that could provide another reason for your injury. Even if you were only complaining about migraines, the insurance company may use that information to argue your post-accident head problems were not a result of the accident. Insurance adjusters may seem to be warm, caring people, but they are not on your side. It’s up to you or your attorney to fight for your best interests. 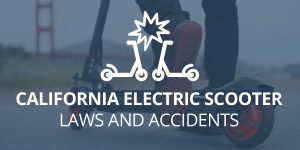 The Megeredchian Law Firm has years of experience protecting the rights of accident victims and dealing with insurance adjusters in California. Contact us today and one of our lawyers will be in touch soon. When you need a win the most, Megeredchian Law is here to deliver. How Do I Deal With Medical Bills After A California Accident?